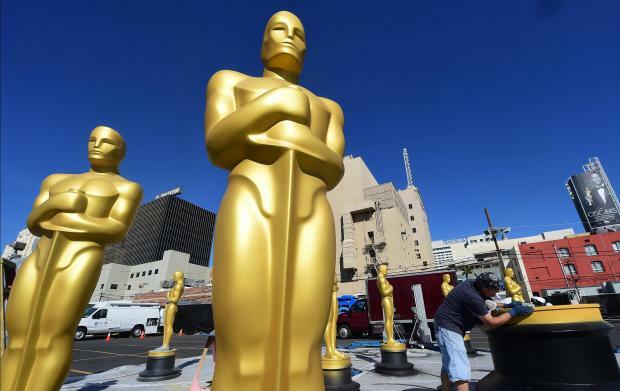 Hollywood's biggest night -- the Oscars -- is set to take place next month without a host for the first time in 30 years, after comedian Kevin Hart pulled out of the gig and no suitable replacement was found. If all goes ahead, it would be the first ceremony without a host since the 1989 gala - one widely seen as one of the most embarrassing ever, featuring an infamous duet between actor Rob Lowe and... Snow White. "It's a blessing in disguise," Tim Gray, awards editor at entertainment magazine Variety, told AFP. "People have been saying for years that the format - the same since 1953 - needs to change and they're trying to cut down on running time. So personally, I think it's a great idea not to have a host." But the backlash was swift - homophobic tweets he made several years ago reemerged, prompting an outcry on social media, and he withdrew just a few days later. "I have made the choice to step down from hosting this year's Oscar's (sic)....this is because I do not want to be a distraction on a night that should be celebrated by so many amazing talented artists," he tweeted. So why can't the Academy of Motion Picture Arts and Sciences find someone else? All have apparently indicated they weren't interested in the gig this year. "I think a lot of people, especially when it comes to hosting the Oscars ... think nowadays it's not worth accepting (to host) because of the scrutiny," Gray said. "It's kind of a thankless job," he added. "A lot of hosts have said it's a difficult job because you walk into that room, there are 3,000 people, and all they want to know is who won in each category." The Academy declined several requests by AFP for comment on the hosting situation or the show's possible format. But according to several trade magazines, organizers are considering having multiple A-listers -- probably actors -- introduce various segments and the award presenters. "The Academy awards regularly had multiple hosts in the 1970s and 1980s and the telecast worked very well," said Dave Karger, a special correspondent for IMDb (the Internet Movie Database). "So if this year’s producers are able to book big stars to perform in skits and present the prizes, I don’t think the show will suffer at all." Gray said the big challenge will be how to make the show entertaining -- both to those attending and for people watching on television -- while sticking to the promise of a three-hour telecast. "I think the hostless situation is going to force them to come up with something imaginative," he said. "And the fact that the show is going to be different could keep the energy going."